With the All-Star break nearly upon us, it’s time to take stock of what we’ve seen seen so far and hand out a bunch of real and made-up prizes. Although we’ve just passed the halfway point of the 2015 season, we still know almost nothing. 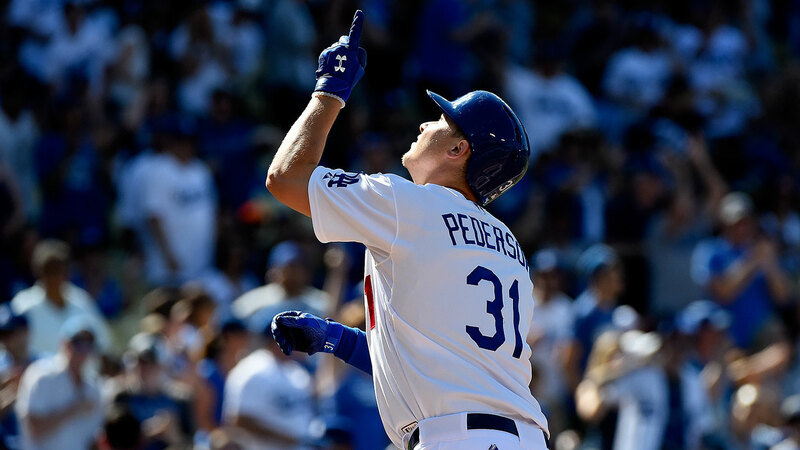 Think back to a year ago: Troy Tulowitzki looked like the pick for MVP, Jacob deGrom hadn’t yet asserted himself as the force of nature who would surge to win Rookie of the Year, the Brewers still looked like a viable playoff team … and that was only in the National League. With nearly half a season left to play, plenty of things are bound to change. However, we do know what’s already happened. So with the All-Star break nearly upon us, it’s time to take stock of what we’ve seen so far and hand out a bunch of real and made-up prizes for the best first-half performances. 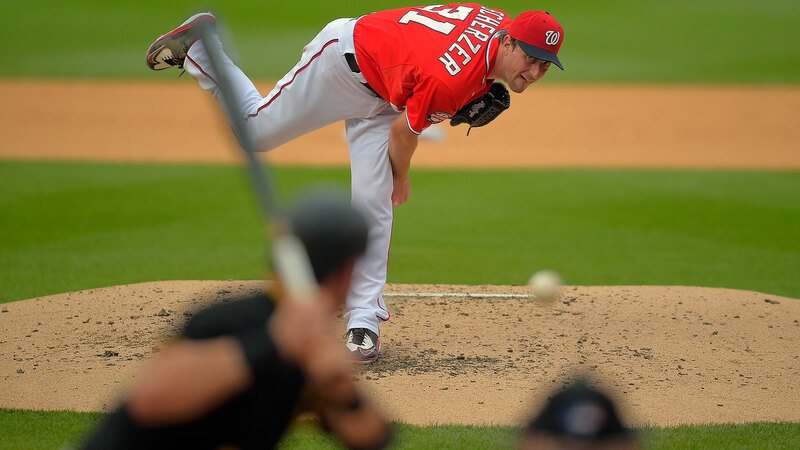 Here are Grantland’s MLB Midseason Awards. Catch up on all of our 2015 midseason coverage! Donaldson, Jason Kipnis, Manny Machado, and Mike Trout all have legitimate claims to being the league’s best all-around player in the first half. To pick a winner, we have to nitpick: Kipnis has leaned on an unsustainable .382 batting average on balls in play, so he’s out. Machado is hitting for a smidge less power than the league leaders, so thanks for coming. And Trout, well, he’s still Mike Trout, so we need to pick the most microscopic of nits to not give him the award, but the advanced defensive metrics like Donaldson a good bit more. So by an eyelash, we’re going with Donaldson. 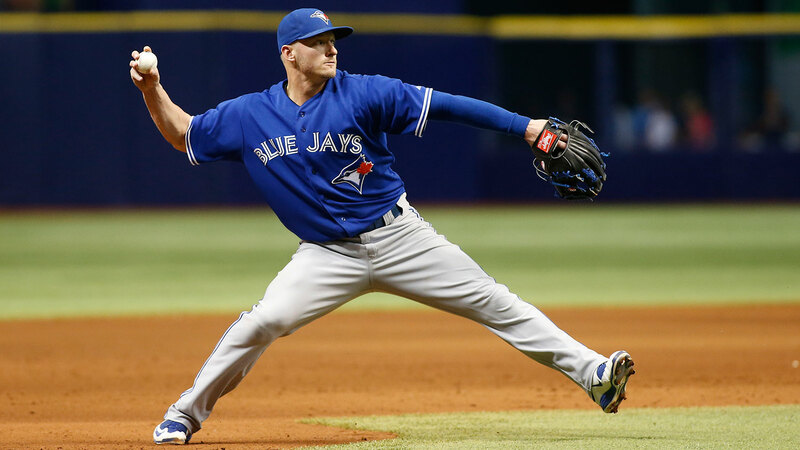 Choose any part of the game, and the Toronto third baseman has been among the league’s best. His 21 homers are tied for fourth in the Junior Circuit, while his .544 slugging percentage is sixth. Although he’s stolen only three bases, he’s a terrific baserunner who’s tied for fifth in the AL by advanced baserunning metrics. Oh, and that defense. Across the majors, only Machado and Nolan Arenado have saved more runs than Donaldson has, and those two are on another planet defensively. Donaldson, then, is the king of the mortals. Blessed with a strong arm, he’s erased multiple would-be hits with throws from deep behind third. Gifted with excellent hand-eye coordination, he’s a whiz at charging slow rollers up the line, barehanding and firing to first just in time. And armed with a combination of solid range and superior instincts, he’s gobbled up many hard-hit balls that would’ve scooted by less-talented defenders. Combine that phenomenal glovework with one of the best bats in all of baseball, and you have the Blue Jays hanging near the top of a divisional race despite a woeful pitching staff. You also have the best player in the American League. When we checked in on Harper at the season’s quarter-way mark, he was both the runaway winner for NL MVP and in the midst of a historic season unmatched by any 22-year-old not named Ted Williams. His second quarter has been punctuated by a couple of health scares. The first was downright terrifying, as Harper’s knee buckled when he tried to make a throw during a June 18 game against the Rays. That injury proved to be nothing more than a left hamstring strain, and Harper returned to the lineup two days later. Then, a week after that, Harper sat out three straight games — this time with a right hamstring strain — and returned on June 28. 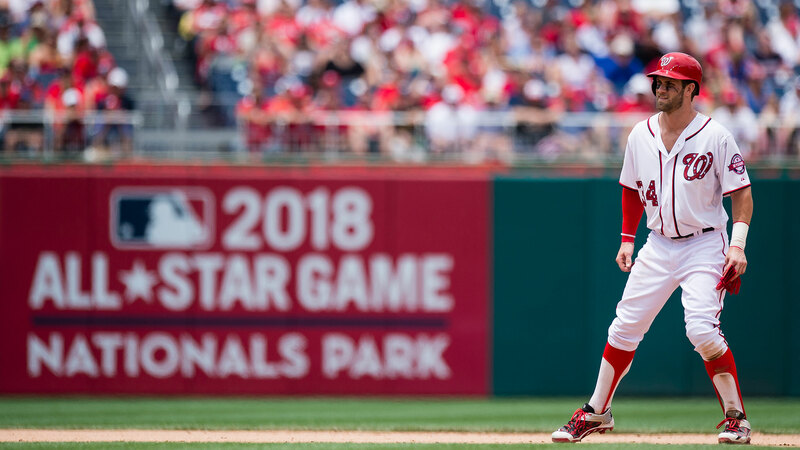 Despite the two hamstring-induced starts and stops, the prognosis on Harper’s health remains positive, and he’s been an absolute monster when he’s been in the lineup. In the 56 plate appearances since that initial strain, he’s hit three homers and six doubles and posted a .340/.446/.660 line. With apologies to Paul Goldschmidt, Todd Frazier, and everyone else, this one isn’t particularly close: Harper has been the clear first-half NL MVP, and it’s his award to lose as we move forward. While the AL MVP race might seem close, the Cy Young competition makes it look like Usain Bolt at the 2012 Olympics. Dallas Keuchel leads in ERA and innings pitched. Chris Archer’s high on the list for everything from ERA and FIP to strikeout rate. David Price’s numbers aren’t far off the results he posted during his 2012 Cy Young season. And while Corey Kluber might be 4-9, you could argue (by advanced metrics) that he’s been the second-best pitcher in the American League. Shout-out to both Sale and Mark Buehrle for being devastatingly efficient, too: The game took just an hour and 54 minutes to play. 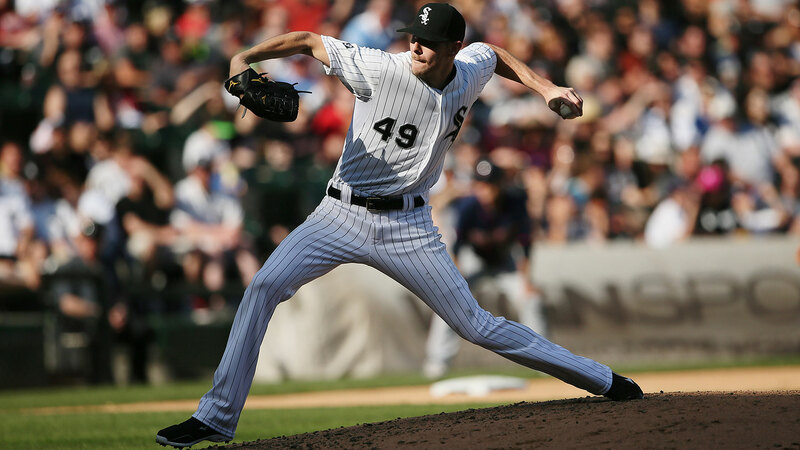 If none of that’s enough to convince you of Sale’s greatness, consider this: Keuchel has been supported by the second-best defense in the league, Archer the fourth-best, and Price the fifth-best.2 Meanwhile, Sale has pitched in front of the AL’s worst defense by a mile, as the White Sox D has allowed 43 more runs than the average team. Sale has a chance to become the first pitcher in 13 years to strike out 300 batters in a season, and he’s allowed fewer hard-hit balls than any other starter this year except Sonny Gray.3 If you don’t let opposing batters hit the ball, it doesn’t matter if you’ve got the Bad News Bears playing in the field. According to Baseball Info Solutions’ Defensive Runs Saved metric. According to ESPN’s Well-Hit Average stat. Anyone can throw a no-hitter. OK, not anyone, but Jose Jimenez once threw one — and so did Bud Smith, and Edwin Jackson, and Tommy Greene. Hell, Phil Humber once threw a perfect game. But the list of pitchers to do it two times in a row contains only one name: Johnny Vander Meer, the late Reds lefty who posted consecutive no-nos in 1938. The streak of lights-out performances ended last night, as Scherzer lasted only 4.2 innings and allowed seven hits and five earned runs in a loss to Cincinnati. The Nationals, like the White Sox, are a poor defensive team, ranking 13th in the NL in Defensive Runs Saved and making Scherzer’s tiny 2.12 ERA that much more impressive. Despite the never-ending stream of blue-chip prospects being called up to the majors this season, there aren’t any first-year players in the AL who’ve been consistently contributing since Opening Day. That means we’re throwing co-RoY honors to Houston’s two fantastic freshmen — neither of whom was in the bigs until mid-May. McCullers throws not one but two nearly unhittable freak pitches, and just seven weeks into his MLB career, he already looks like he could be an able Keuchel wingman at the top of the rotation for years to come. Meanwhile, Correa has a grand total of 121 plate appearances in the Show, but no one would fault you for calling him the best position player on the team: He has power, he has speed, he can pick, and he’s 20 freaking years old. The craziest part of Houston’s sudden rise this year is that the team might just be scratching the surface of its potential. McCullers and Correa could win a hell of a lot more hardware along the way. The potentially historic NL Rookie of the Year race has drawn even tighter over the past couple weeks, as Kris Bryant has gone on an absolute tear that included a two-homer explosion on July 4 against the Marlins. Pederson still leads by a smidge, though. He’s got slightly better park-adjusted offensive numbers (.230/.368/.496, 143 wRC+, compared to .275/.380/.473, 137 wRC+ for Bryant), and Bryant’s been getting a lot more batted-ball luck (a .371 batting average on balls in play, compared to Pederson’s .276). Plus, Pederson rates as the ninth-best defensive center fielder in the majors per Defensive Runs Saved, and Bryant checks in at no. 20 among third basemen. Still, with half a season left to play, this could be a phenomenal two-player race. For it to expand beyond this pair, Matt Duffy, Maikel Franco, and others would need to go on some spectacular second-half runs. Martinez was already a terrific story last year, as the Tigers picked him up for nothing two days after he was released by the Astros late in spring training. In the 2014 version of Martinez, Detroit had itself a dangerous power hitter who posted a .315/.358/.553 season with 23 homers in just 480 plate appearances. Compared to what Martinez is doing this season, though, last year looks like nothing more than a warm-up. 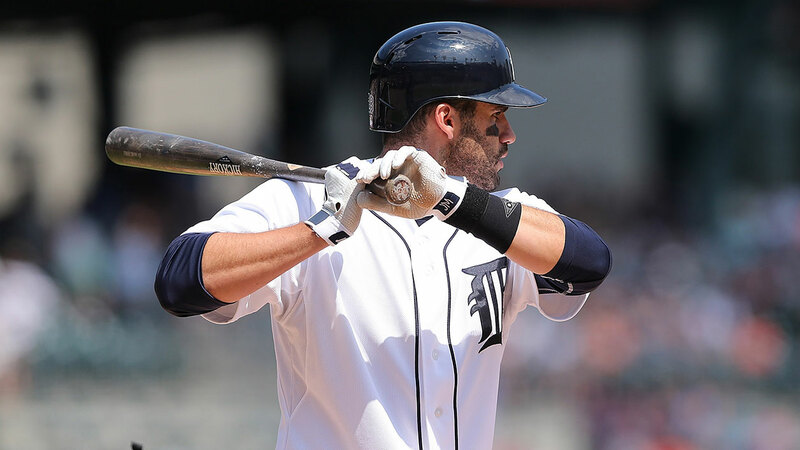 The Tigers right fielder has blasted 11 homers in his past 14 games, 14 in his past 21, and 24 total in just 339 plate appearances, already surpassing last year’s total. He ranks third among all American League hitters in Isolated Power, third in the AL in ESPN’s Well-Hit Average stat, and 11th in the AL in maximum Exit Velocity. In other words, he’s crushing the ball. Now, that’s not to say that pitchers can’t get him out. A look at Martinez’s heat map shows a fairly typical slugger’s profile: He struggles on pitches on the outside part of the plate and beyond. But throw Martinez anything low and inside or down the middle, and you’re going to get creamed: He’s hitting a preposterous .535 on pitches thrown to the heart of the strike zone. He did, however, earn a well-deserved All-Star nod earlier this week. 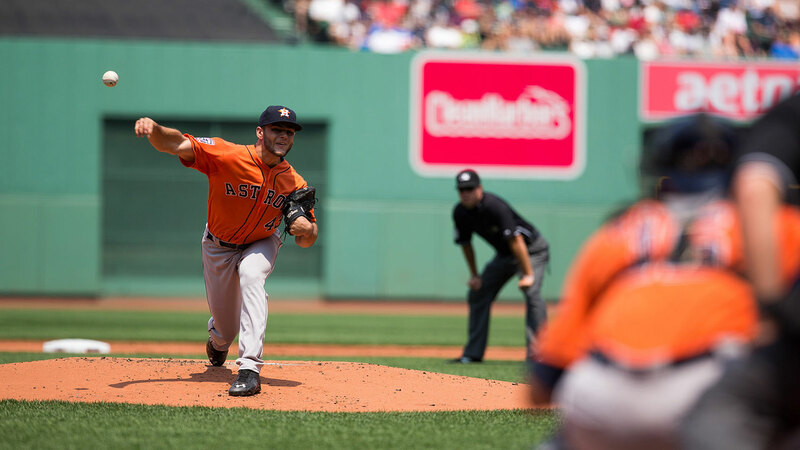 This piece has been updated to correct the year David Price won the Cy Young Award.